Dr. Amita Attlee is currently appointed as Assistant Professor, Department of Clinical Nutrition and Dietetics at the College of Health Sciences, University of Sharjah. 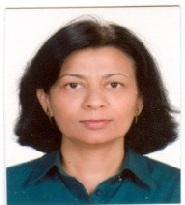 She has a University teaching experience of nearly 20 years in India and UAE. Her areas of research interest include epidemiological and nutritional aspects of non-communicable disease (NCD) particularly obesity; nutritional assessment and intervention among different physiological groups as well as clinical conditions; maternal and child health & nutrition. Before joining the University of Sharjah, she worked as a Regional Technical Head in a Dubai based leading International Wellness Organization wherein she represented the Middle East Region for technical support to the company. 1) Amita Attlee, Hanin Kassem, Mona Hashim, Reyad Obaid (2015). Physical status and feeding behavior in children with autism. Indian Journal Pediatrics (2015 Feb 10. [Epub ahead of print]). 2) Attlee A, AbuQiyas S, Obaid R. (2014). Assessment of nutrition knowledge of a university community in Sharjah, United Arab Emirates. Malayisan Journal Nutrition 20 (3): 327-337. 3) Amita Attlee, Asma Nusralla, Rashida Eqbal, Hanaa Said, Mona Hashim, Reyad Shaker Obaid (2013). Polycystic Ovary Syndrome in University Students: Occurrence and Association with Body Composition. International Journal of Fertility and Sterility 8 (3): 261-266. 4) Anjna Magon, Simon M. Collin, Pallavi Joshi, Amita Attlee, Beena Mathur (2014). Leaf concentrate fortification of antenatal protein-calorie snacks improves pregnancy outcomes: a randomized controlled trial in Jaipur, India. Journal of Health, Population and Nutrition 32 (3): 430-439. 5) Tareq M. Osaili, Mahmoud Taani, Anas A. Al-Nabulsi, Amita Attlee, RaÊ¼ed Abu Odeh, Richard A. Holley and Reyad Shaker Obaid (2013). Survival of Escherichia coli O157:H7 during the manufacture and storage of fruit yogurt, Journal of Food Safety 33 (3): 282-290. 6) Al Nabulsi A. A., Osaili T. M., Shaker R. R., Olaimat A. N., Attlee A., Al-Holy M. A., Elabedeen N. Z., Jaradat Z. W., Holley R. A. (2013). Survival of E.coli O157:H7 and Listeria innocua in tahini (sesame paste). Journal of Food, Agriculture and Environment 11 (3&4): 303-306. 7) Al-Rousan W. M., Ajo, R. Y., Al-Ismail, K. M., Attlee A., Shaker R. R., Osaili T. M. (2013). Characterization of Acorn Fruit Oils Extracted from Selected Mediterranean Quercus Species. Grasas Y Aceites 64 (5): 554-560. 9) Khatabiah J, Attlee A., Hashim M., Al Rosan W. M. and Shaker R. R. (2012). Efficacy of benzoate and sorbate on the growth control of total and psychrotrophic yeasts in Labneh. Egyptian Journal Dairy Science 40 (1): 35-43.